Things have been moving pretty quickly for 23 year old Chance the Rapper since releasing his third mixtape back in May 2016. Before even a year has passed, Chance has appeared on pretty much every major talk show, was the first independent artist to perform on SNL (twice), hosted the first music festival—the Magnificent Coloring Day—to take place at the White Sox Cellular One Field, was nominated for seven Grammys, met President Obama (and even appeared on one of his playlists), performed at the Annual White House Tree Lighting, the ESPYS, and so much more. Did we mention he’s just 23 years old? According the to full Billboard interview with Chance the Rapper’s longtime manager Pat Corcoran that was published yesterday, the two have big plans for 2017. The news came from Chance’s agent Cara Lewis, who said “Our first date paid 500 dollars. Now Chance is headlining all the major festivals and will embark on a 40-city arena tour.” Considering how quickly Chance jumped from these two drastically different realities, there’s no telling what he can and will end up doing over the course of his career. Though Lewis’ quote is the only one in existence that discusses Chance the Rapper’s upcoming arena tour, we doubt the agent—whose star roster includes Kanye West and Eminem—would speak outside of her knowledge and bounds. More news regarding Chance’s first arena tour is pending, but in the mean time, you’ll be able to catch the ever-rising rapper at the 59th Annual Grammys, where not only is he performing, but is also up for seven nominations, including Best New Artist—even though he’s been on the scene, independently since 2012. In the Billboard interview, Pat Corcoran discusses his thought process in the early stages of managing Chance. 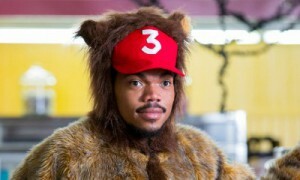 He told a friend at the time, “I’m going to work for Chance until we’re headlining festivals and winning Grammys – or until I get fired.” And considering the immense love, admiration, and respect Chance the Rapper and co. have earned since arriving in this rap world, it’s clear that Corcoran made the right choice in standing by him. Being Chance the Rapper fans from the beginning, we here at TickPick are incredibly excited for his upcoming plans. Check back for more news regarding Chance the Rapper’s 2017 Tour!